We reserve the right to restrict the number of products you may order and to refuse any order. Only when we have accepted your order is a binding contract created between us. The English Courts shall have jurisdiction to hear disputes between us. Fitting Position: Left. from construction year: 01/01/2004. 2.0 TDI [ 2005 to 2009, [BMM], SOHC, 8v, 140BHP ]. 2.0 TDI 16V quattro [ from 2005, [BKD] ]. 1.8 TSI [ 2007 to 2012, [CDAA], 160BHP ]. 2.0 TDI 16V quattro [ 2004 to 2012, [CBAB] ]. MG ZT 01-05. ROVER 75 99-05. 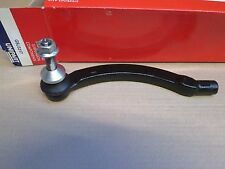 LEFT HAND FRONT SUSPENSION ARM. 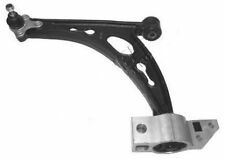 PART NUMBER UNIPART GSJ 4759. LOCATION UNIPART ARM 1. Fitting Position: Front Axle, Fitting Position: Left, Fitting Position: Lower, Org. THIS ITEM WILL FIT THE FOLLOWING MODELS. CITROËN C8 (EA_, EB_) 2.2 HDi. Front Left Lower Suspension Wishbone Arm Complete. Ford Focus & C-Max. Ford Focus Models. Ford C-Max Models. You May Also Wish To Consult A Ford Parts Specialist For Advice. FittingPosition: Front Left (UK Passenger Side). BMW X5 E53 E70 00-2013. DOES NOT FIT 4.4 TWIN TURBO S63B44A. PART NUMBER UNIPART GSJ 895. FORD MONDEO Mk II (BAP) 1.6 i. FORD MONDEO Mk II (BAP) 1.6 i 16V. FORD MONDEO Mk II (BAP) 1.8 i. FORD MONDEO Mk II (BAP) 2.0 i. FORD MONDEO Mk II (BAP) 2.5 24V. FORD MONDEO Mk II (BAP) 1.8 TD. VW CC (358) 2.0 TDI. VW CC (358) 2.0 TDI 4motion. VW CC (358) 2.0 TSI. VW CC (358) 3.6 FSI 4motion. VW CC (358) 1.4 TSI. VW CC (358) 1.8 TSI. Original part numbers (only for comparison). Engine output. 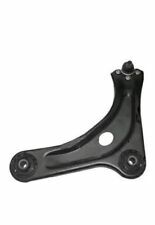 LEFT HAND FRONT SUSPENSION ARM WISHBONE. PEUGEOT 106 1991-2003. does not fit S OR XSi. VAICO: V24-9630 - V24-9643. 80KW (109hp). 11/1994 - 11/2001. 03/1994 - 04/2002. 60KW (82hp). 59KW (80hp). 08/1994 - 04/2002. 66KW (90hp). Fiesta MK3 1989-1/1994, XR2i 10/1989-10/1990. Suspension wishbone arm LH. 03.05 - 07.06. 04.04 - 08.06. 08.98 - 08.06. 04.01 - 08.06. 08.98 - 09.00. 03.01 - 10.05. 03.03 - 10.05. 03.00 - 08.05. 54KW (73hp). 05/1991 - 03/1999. CORDOBA Vario (6K5) 1.9 SDI. 66KW (90hp). 09/1996 - 06/2003. 47KW (64hp). 11/1995 - 06/2003. 42KW (57hp). 09.88 - 10.90. 09.88 - 05.93. 09.88 - 11.95. 09.93 - 11.95. 03.92 - 07.97. 06.90 - 02.94. 06.90 - 07.97. 09.88 - 06.94. FORD - FIESTA V (JH_, JD_) - 1.25 16V. FORD - FIESTA V (JH_, JD_) - 1.3. FORD - FIESTA V (JH_, JD_) - 1.4 16V. FORD - FIESTA V (JH_, JD_) - 1.6 16V. FORD - FIESTA V (JH_, JD_) - ST150. FORD - FIESTA V (JH_, JD_) - 1.4 TDCi. PART NUMBER FIRST LINE GSQ 933. PEUGEOT 306 Hatchback (7A, 7C, N3, N5) 1.1. PEUGEOT 306 Hatchback (7A, 7C, N3, N5) 1.4. PEUGEOT 306 Hatchback (7A, 7C, N3, N5) 1.6. PEUGEOT 306 Hatchback (7A, 7C, N3, N5) 1.8 16V. Fitting Position: Front Axle, Fitting Position: Left. 02.07 - 08.13. CITROËN C4 I (LC_) 1.6 16V. CITROËN C4 Picasso I (UD_) 1.6 HDi. CITROËN C4 Picasso I (UD_) 2.0 i 16V. 02.07 - 12.11. CITROËN C4 I (LC_) 1.4 16V. 51KW (69hp). 06/1995 - 04/2002. 03/1994 - 04/2002. 50KW (68hp). 04/1998 - 04/2002. 90KW (122hp). 11/2003 - 07/2006. 04/2002 - 07/2006. 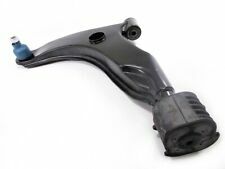 PART NUMBER UNIPART GSJ 881. FORD FIESTA Mk II (FBD) 1.3. FORD FIESTA Mk III (GFJ) 1.0. FORD FIESTA Mk III (GFJ) 1.1. FORD FIESTA Mk III (GFJ) 1.3 CAT. FORD FIESTA Mk III (GFJ) 1.4. Fitting Position: Front Axle, Fitting Position: Left, Fitting Position: Lower. 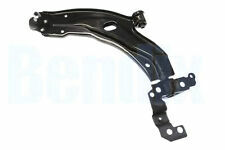 PART NUMBER UNIPART GSJ 885. FORD FIESTA Mk III (GFJ) 1.1. FORD FIESTA Mk III (GFJ) 1.3 CAT. FORD FIESTA Mk III (GFJ) 1.4. FORD FIESTA Mk III (GFJ) 1.6 i 16V. FORD FIESTA Mk III (GFJ) 1.8 D. FORD FIESTA Box (FVD) 1.8 D (FVJ).